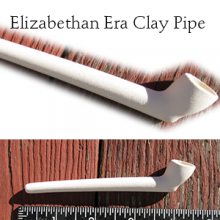 We offer a full line of affordable clay tobacco pipes. 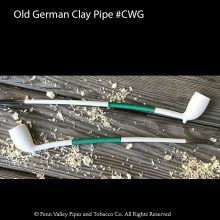 The Internet’s largest selection of Old German Clay Pipes. 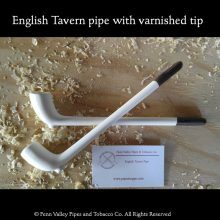 We have Old World style clay pipes, New World style clay pipes, clay tavern pipes, Markus Fohr hand-made German clay pipes. 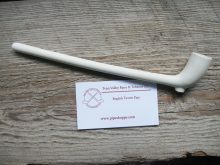 It seems that antique German clay pipe molds are being uncovered weekly by our master pipe-maker, Markus Fohr. That’s an exaggeration, of course, but he has discovered many ancient clay pipe molds over the years. We carry many of his over five dozen designs and bring more into the shop whenever possible. 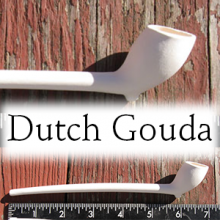 Actually, clay pipes that were white then undergo a second smoking process that turns the white pipe completely black. These are not always available, but we try to stock some all the time. 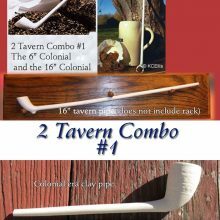 In addition to imported clay pipes, we stock reenactment and period style tobacco pipes from the 18th and 19th centuries. A favorite with Revolutionary War, French and Indian War and Civil War buffs, these period pipes are now finding a renewed following among pipe collectors. 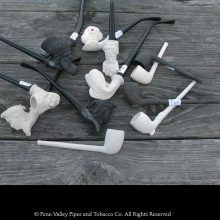 Clay pipes convey the true flavor of any blend you try. There is no flavor carryover or “ghosting” from one bowl to the next. 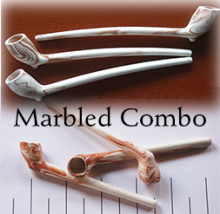 With a clay pipe, although they can get pretty hot, there is no need to rest the pipe between smokes.